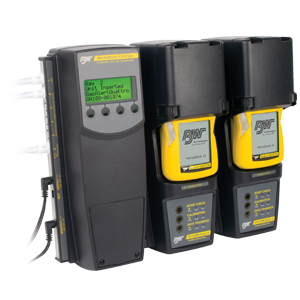 Both field serviceable and disposable portable gas detectors require ongoing maintenance and care throughout their operational lives, although requirements are greatly reduced for disposable units. Bump testing – a quick test that can mean the difference between life and death. Bump testing is a process where a portable gas detector is exposed to a known concentration of gas to check its response. When a device is operating correctly, it will alarm in the presence of the test gas. Best practice recommendation is that bump testing should be undertaken every day before a portable gas detector is used. Carrying out a bump test is the only way to ensure that a portable device is working correctly. Without it, you could be at risk! 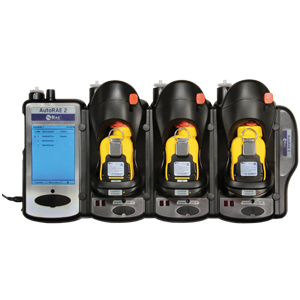 Automatic test stations like MicroDock II and Enforcer can help to simplify daily device testing and dramatically reduce costs. It is essential to ensure you calibrate your gas detection device in accordance with the manufacturer’s guidance. Calibration is usually undertaken twice yearly (although more frequent checks may be recommended, depending on the application). This is a process where a device is exposed to the gases it is intended to detect to ensure that its readings are in line with the concentrations it is being exposed to. When a device fails a bump test, a calibration is required. Our network of distribution partners are approved to carry out Service Level 1 and 2 device care. 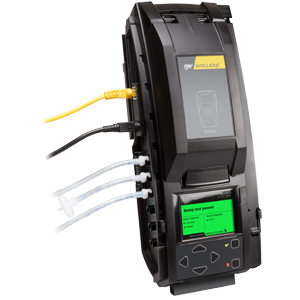 For further information about portable device maintenance services, find your nearest partner. Sensors have a defined expiry and must be replaced after this period runs out. The average life of sensors is approximately 2-3 years but it is worth remembering that sensors may need to be replaced more frequently when “known poisons” are present. Depending on the type of device, sensors may be replaced individually or as part of an integrated cartridge (as used by devices like the Impact range from Honeywell Analytics).